During my trip to San Francisco, my friend, Maria Queri took me also to Lombard Street known for its crookedest street and where one can see the famous San Francisco cable car. 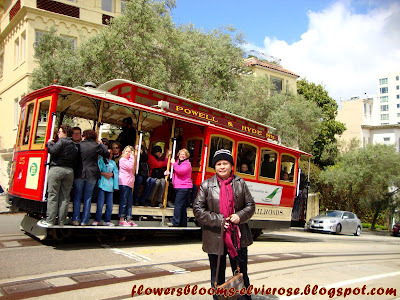 San Francisco cable car system is the world's last manually operated cable car system. It is an icon of San Francisco, California and has become a tourist attraction. 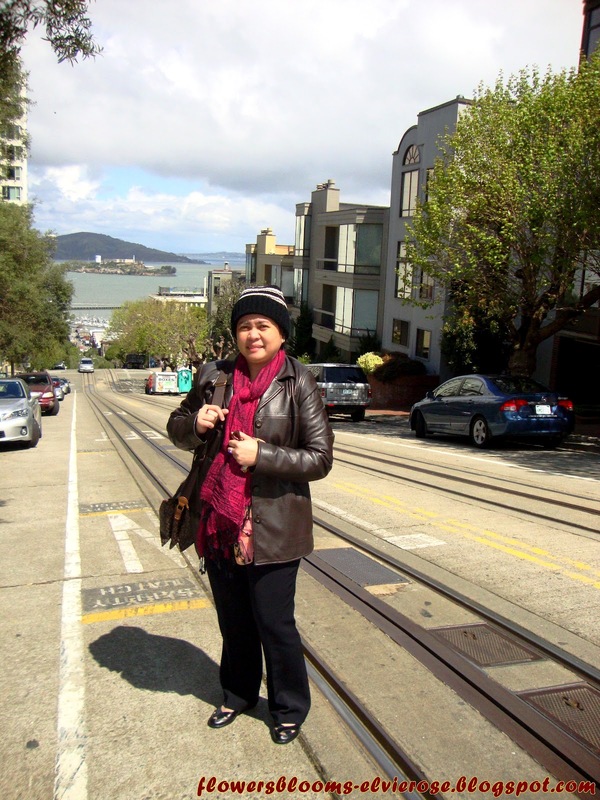 This urban transport system is operated by the San Francisco Municipal Railway, popularly known as "Muni." Lombard Street is one of America's crookedest street. 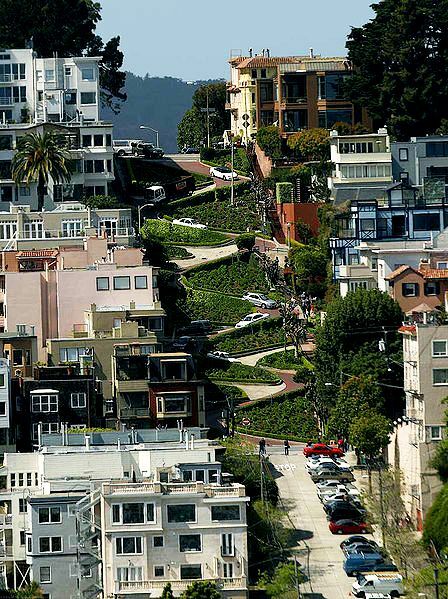 The steep, hilly street was created with sharp curves to switchback down the one-way hill past beautiful Victorian mansions. 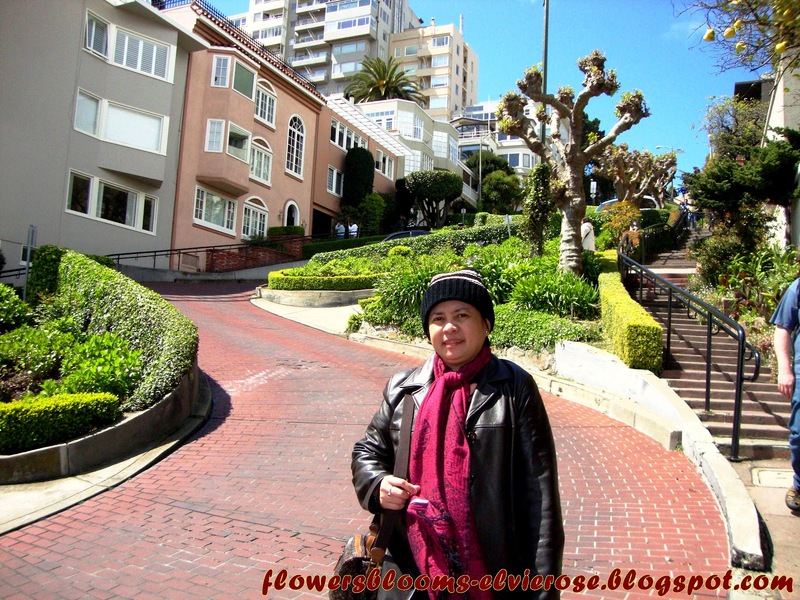 This famous steep street has eight tight turns in the one block portion of street. Wondering why the street was built crooked ? This is actually for safety reason. 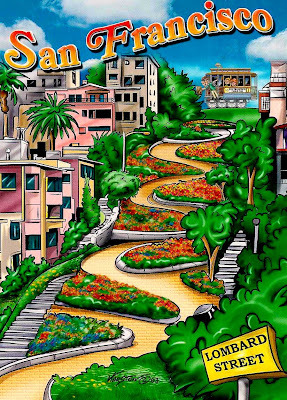 The naturally steep grade of the street posed a severe safety hazard. 1. The Real World House ~ On the Southern side of the street is the Real World San Francisco house, the home that the cast stayed in when the show was filming. 3. Scottie’s Apartment from Vertigo ~ Another spooky home is the Scottie's Apartment located at 900 Lombart Street near the Montandon House. San Francisco scenery and this home plays a prominent role in the famous Alfred Hitchcock film Vertigo. 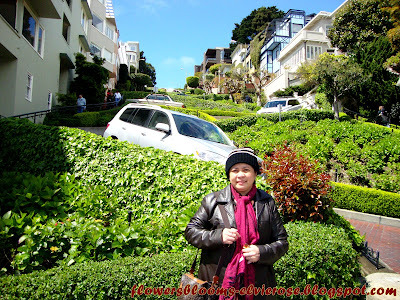 These are some of the nicest pix of San Fran I've seen! 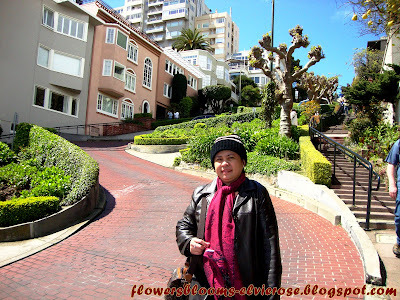 Most often, we get the straight, steep-sloped streets. Congratulations on winning 'The Gourmet Meal Challenge'! In a different country to boot! The award was très cool. Love the fluoro green hue! Was glad to hear that you had a wonderful Easter. I'm not surprised that MT was warm and treated you well. I don't know you at all, but you come across as a warm person, too. So that, my dear, was karma. I like how you give all the relevant details - maps, addresses, websites - of all the places you mention. It will certainly help those wanting to visit those places. It's a heck of an effort to put together, too. Good on you! Thanks again for your informative posts, Elvie! Thanks for your great comments. I enjoy reading them. God bless you !